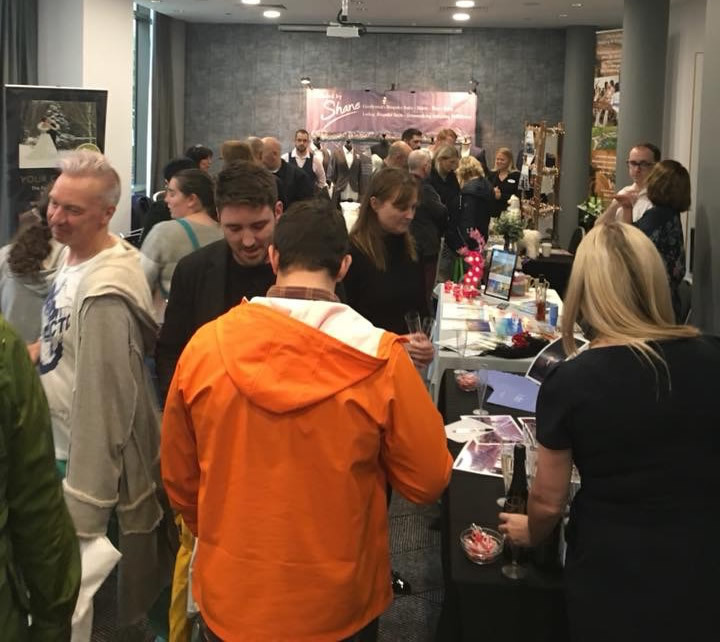 Manchester 2018 show saw a HUGE entertainment line-up for the Gay Wedding Show! Thank you Manchester for showing us a warm (if a little wet) and welcoming day! What an amazing day and exciting morning of meeting the exhibitors and turning the rooms into an explosion of colour ready for the show to open. As we got ready to open, the packed room in reception was already an indication that it was going to be busy, wild, fun and vibrant. Thank you to the Doubletree by Hilton, Sparks Entertainment and Proud Holidays for sponsoring us and WOW was it epic. A special thanks to Dixie Tucker for causing trouble as usual with her wit, charm and of course stunning looks. For 15 years we have been hailed as the most innovative and fun wedding shows around by so many including the media and for that we can only but THANK YOU again in making it all work so so well.